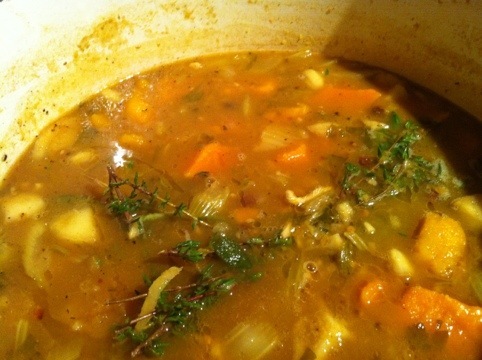 CSA, my garden, Crescent Dragonwagon (though I’ve taken more than a few liberties with this stew, originally based on her curried apple and sweet potato soup), and thank you reading this. I’ve been buried in other endeavors lately but hope to poke my head up soon, look at the moon or smell whatever flowers might be left of the season, and tell you all about how I’m planning to harness my holiday purchasing power to make the planet a happier place. Stay tuned.